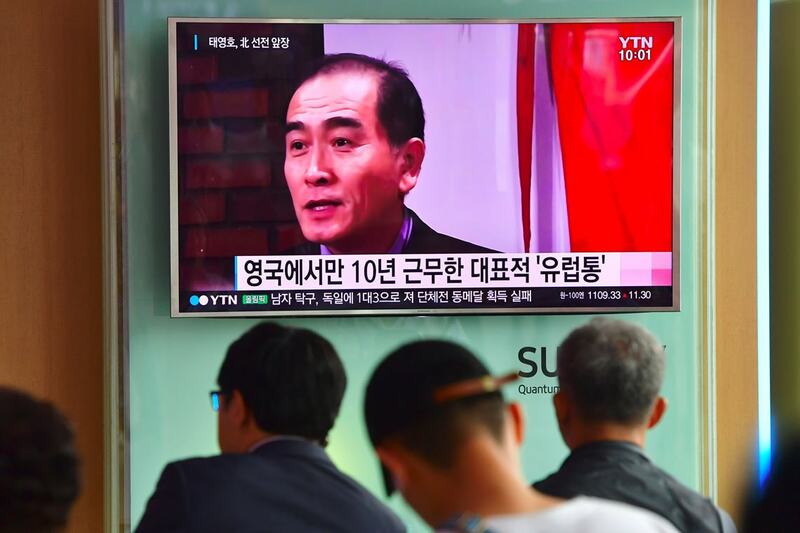 Last week, Thae Yong-ho, a high-ranking North Korean diplomat who was based in Britain, defected to South Korea, making him one of the most prominent officials to do so in recent years. U of T News spoke to Tina Park, a University of Toronto PhD student researching Korean-Canadian relations and Executive Director of the Canadian Centre for the Responsibility to Protect, about the defection. What is so important about Thae's defection? Thae presents a very unique case of one of the most senior North Korean officials to defect in nearly two decades. It is shocking for two reasons: it is very rare for North Korea's political elites to defect – because of the class-based social hierarchy (songbun) in North Korea, Thae and his family would most likely have had a comfortable lifestyle waiting in Pyongyang. The privileged class in North Korea are often sent abroad for education or work, but ultimately return back to North Korea. Perhaps more importantly, Thae was one of the most skilled diplomats who was in charge of spreading pro-North propaganda in Europe and had spent much of his career advancing the cause of the Kim regime. Thae lived in London for a decade, long trusted because he and his wife came from elite families with close connection to Kim Il-Sung. So defection from someone like Thae who essentially spent his life promoting the regime is particularly shocking – especially because of how much he knows about the regime and the risk that he took in defecting. The inside knowledge that he would be able to share with the South Korean intelligence system will be extremely revealing. What do we know so far about why he defected? We have yet to hear directly from Thae but the South Korean government released a statement listing three reasons: first, disillusionment about the North Korean regime; second, ideals about life in South Korea; third, concerns for the education and livelihood of his two sons. I think the last reason is a very plausible one – Thae has two sons, one with a degree in public health and another one who is about to enter an undergraduate program. Because they lived abroad for over a decade, he may have feared the difficulties in re-integration for his children, since his younger son in particular would have to be indoctrinated with the Juche-based system at a wholly different level and a lifestyle very different from the one they enjoyed in London. There are also speculations about the institutional difficulties that Thae may have had in recent years – there have been severe funding cuts to the overseas embassies since Kim Jong Un assumed power, and various North Korean diplomats have engaged in illegal activities to raise funds to send back to Pyongyang. Having spent a fair amount of time abroad, both during his studies and for his work as a diplomat, Thae would be fully aware of the actual state of the North Korean regime in terms of international sanctions, concerns about human rights violations and nuclear proliferation, the degree of economic hardship and starvation at home, and international attitudes towards the regime. He would also be aware of the growing sense of fear among the political elites in North Korea since the execution of Jang Song Thaek (Kim Jong Un's powerful uncle) in 2013. There has been a steady growth in the number of public executions in the last few years in North Korea of dissenters and anyone who posed a threat to the Kim regime. Thae would have followed all of that closely, while still having to defend the regime in his public capacity. It would have posed a tremendous psychological pressure in addition to the financial difficulties he faced with the funding cuts. How many North Korean defectors are there in South Korea -- and what kind of challenges do they face? There are many other cases of defection – this year alone, more than 700 people have defected from North Korea, including 13 workers from a North Korean restaurant in Ningbo, China. Some 27,000 North Korean defectors currently reside in South Korea, many of whom sought to escape from hunger, oppression and the reign of fear and paranoia in the North Korean regime. After screening, they are sent to the Hanawon, a place designated to assist the defectors with integration in the South Korean society. They are also given financial support and psychological support in the process. In high-profile cases, South Korea's national intelligence service team and other police agencies would provide protection services and many of them would assume a different identity and get a job. Depending on their level of knowledge, some of them might even be employed by the South Korean government. Re-integration to South Korea is not an easy process for many North Koreans, especially as they adjust to a culture of freedom and learning about capitalism – many of them struggle with having so many choices and the spirit of competition which is prevalent in South Korea. How is North Korea reacting to Thae's defection? Initially North Korea was very quiet but this past weekend, North Korea has finally made an official statement through the KCNA (Korean Central News Agency) about the case, accusing Thae as a corrupted official who raped minors and stole public funds. Since his defection, North Korea has severely tightened its control of overseas offices (closing down some of its 54 offices), as well as dispatching an investigative team from Pyongyang for a full-fledged screening of cellphones and other communication channels of its staff and their families, and full censorship of their interactions and ideological training. Some of them have been called back to Pyongyang, and the UK office where Thae used to work has largely remained closed so far. Defection from the core class is generally rare, because the North Korean society is built around serving the privileged class, and even high-ranking diplomatic officials abroad are closely monitored by their colleagues. Apparently it was Thae's role to monitor the North Korean Ambassador in the UK, so you can imagine the shock felt in Pyongyang. What does this mean for the future of inter-Korean relations? Symbolically, Thae's defection is very significant as an indication of the fragility in the North Korean elite circle. The strength of North Korean society comes from unfailing belief in their leadership and ideological solidarity, especially in the ruling class, and it has a potential to encourage others to do the same, though I suspect that the North Korean regime will tighten security and surveillance measures to prevent such moves in the coming days. The South Korean government and media, as we have seen so far, will take every opportunity to publicize this case. To what extent this particular defection will affect the strategic and political relationship on the Korean peninsula remains to be seen, and we must not over-emphasize the importance of a singular event. What we know for sure is the broader picture about the state of North Korea – the UN Commission of Inquiry under Justice Michael Kirby has produced an unequivocal report about the state of gross human rights abuses and crimes against humanity taking place under daylight; the UN agencies continue to report a severe shortage of food and state of hunger and malnutrition in the general North Korean population; Pyongyang continues to invest its energy on nuclear weapons, missiles and its military capabilities, while facing a lack of support and cooperation from traditional allies like China; there is a growing use of technology and access to outside media (including South Korean soap operas and k-pops) in the general population; and most importantly, we are seeing clear signs of a growing instability within its elite class, which has served as the backbone of North Korean system for decades. Thae's defection is a serious blow to the Kim Jong Un regime, especially on the issues of perception and internal solidarity. All of these factors point to a doomsday clock scenario for the North Korean regime.